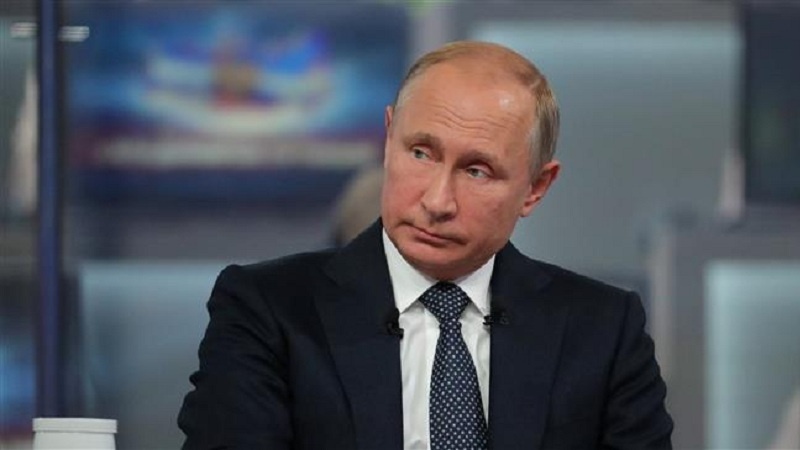 According to Press TV, Putin said during an annual televised phone-in with the Russian public on Thursday “As for the presence of our soldiers in Syria, there are two sites where they are stationed at. One is the Port of Tartus, and the other is Hmeimim Airbase. It is worth mentioning that these are Russian deployment sites rather than bases. We are not building facilities for long-term plans there so we will be able to promptly withdraw our military personnel if need be”. He stressed that Russia did not see Syria as a testing ground for various weapons systems that hadn’t been used in combat before, but rather its munitions were upgraded there. “Syria is not a training range for Russian armament. Modern precision-strike systems, including missile ones, have been improved there. When we started the trials of these sophisticated weapons, teams from our defense industry enterprises left for Syria, and they perfected those munitions at the scene,” Putin said. Russia has been helping Syrian forces in an ongoing battle in the Province of Dayr al-Zawr as the Daesh terrorist group struggles to keep its last positions in eastern Syria. The Russian military assistance, which began in September 2015 at the official request of the Syrian government, has proved effective as Syrians continue to recapture key areas from Daesh and other terrorist groups across the country with the backing of Russian air cover.